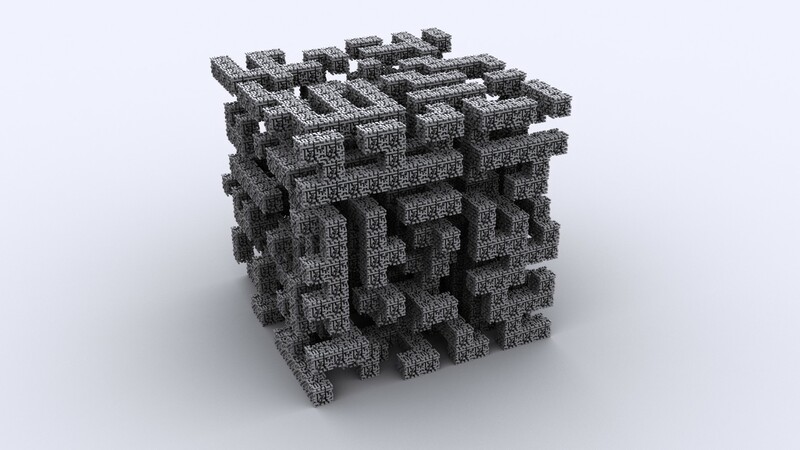 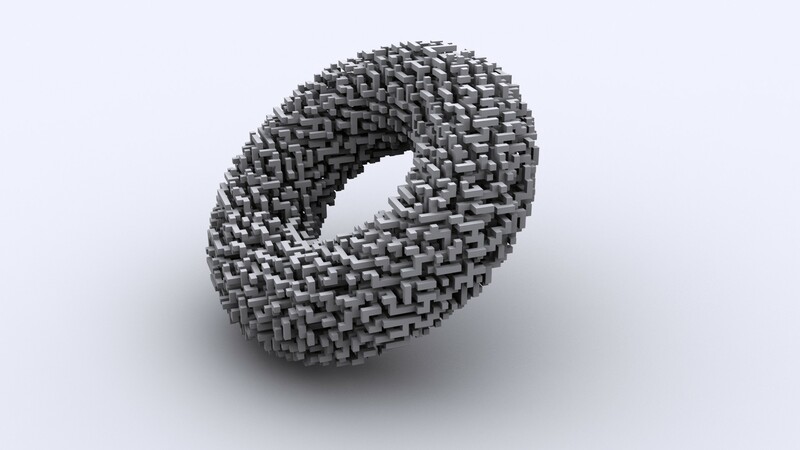 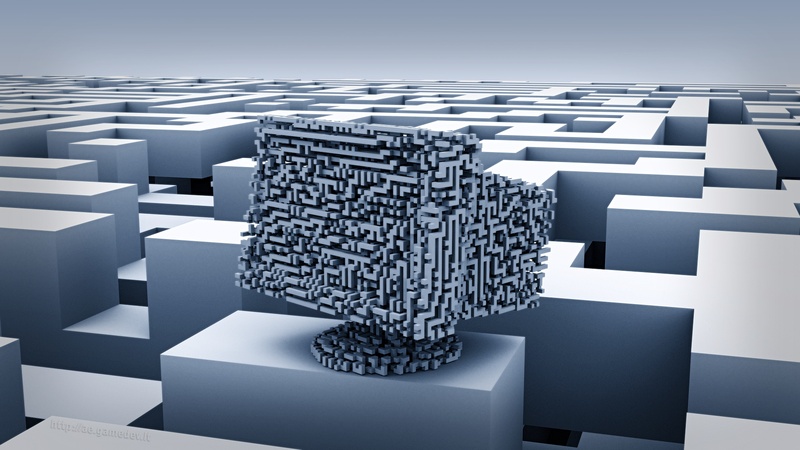 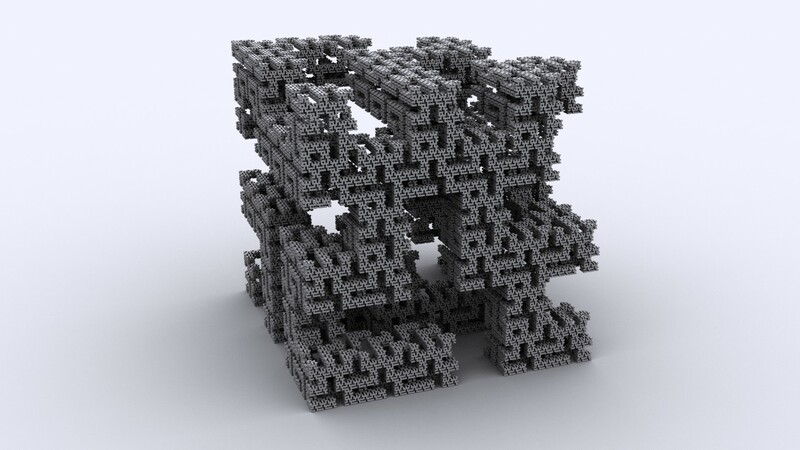 3DsMax script reads labyrinth data and recreates it using boxes. 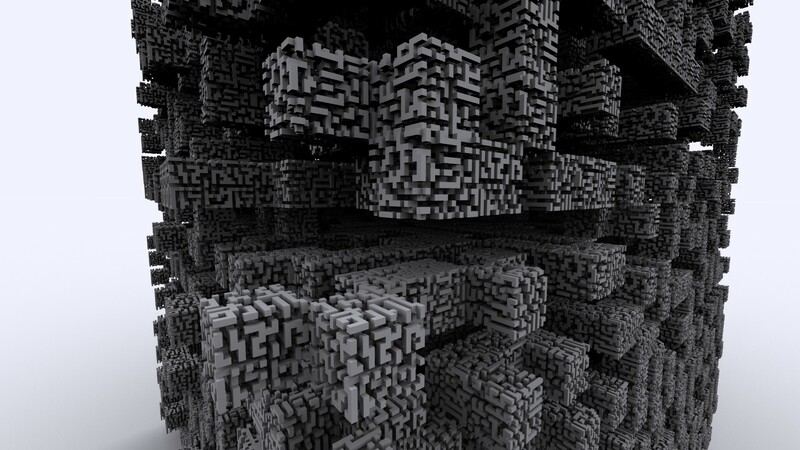 Labyrinth generator is a standalone program, data to/from 3DsMax and Blender is transferred using scripts (MaxScript, Python). 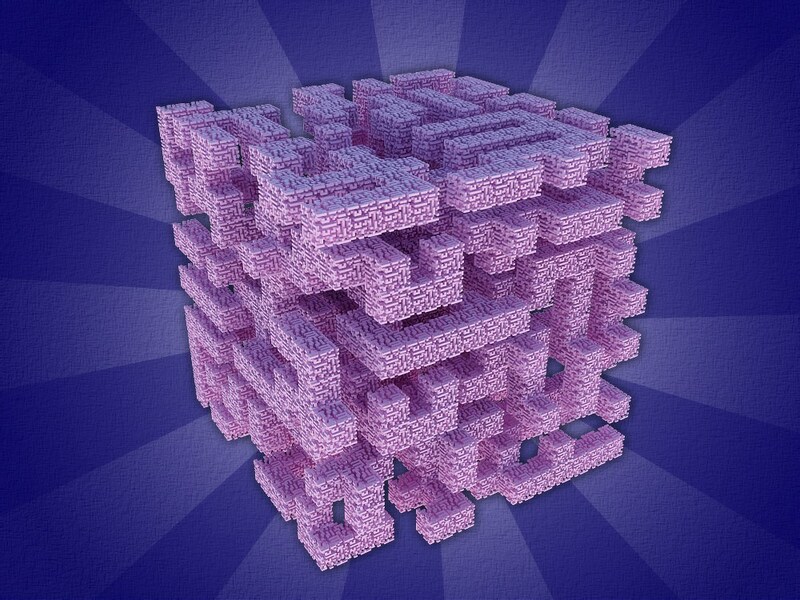 Here you can find some rendered labyrinths: 1, 2, 3, 4, 5, 6.